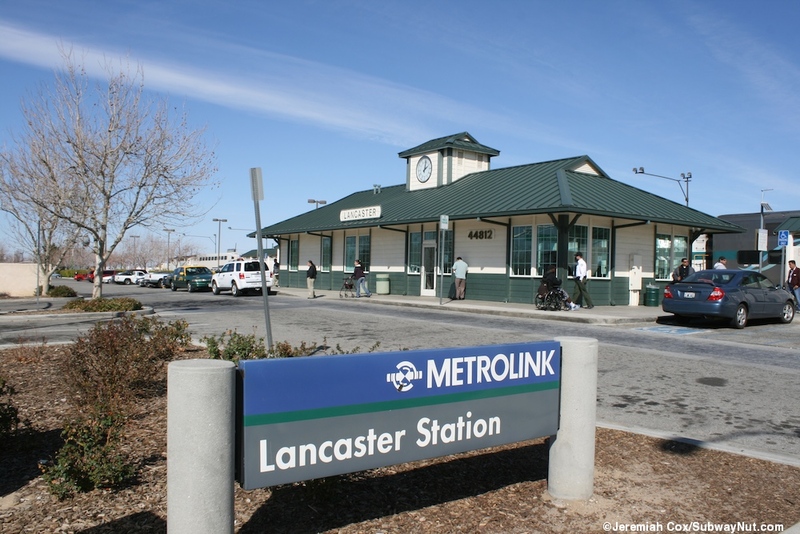 The Lancaster Station is the northern terminus of the Antelope Valley Line and was opened as one of the "3 Day Miracles" on January 24, 1994. 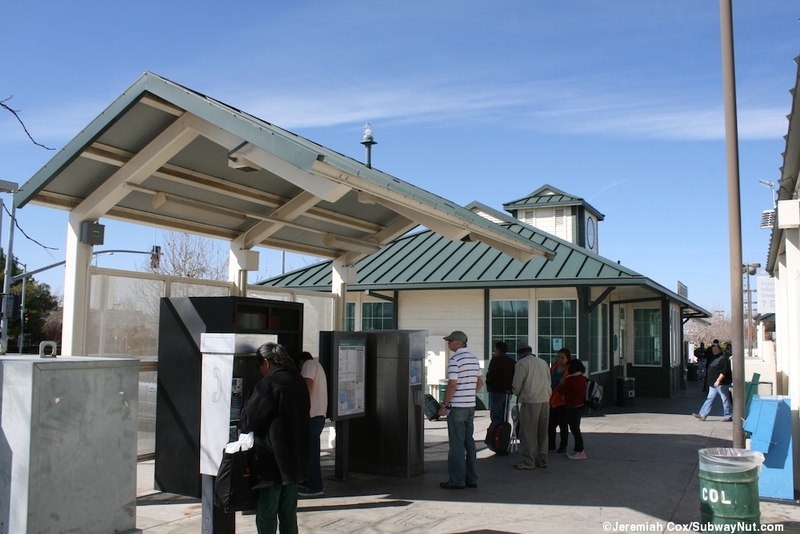 The actual depot building was finished (as the plaque says) in 1996. 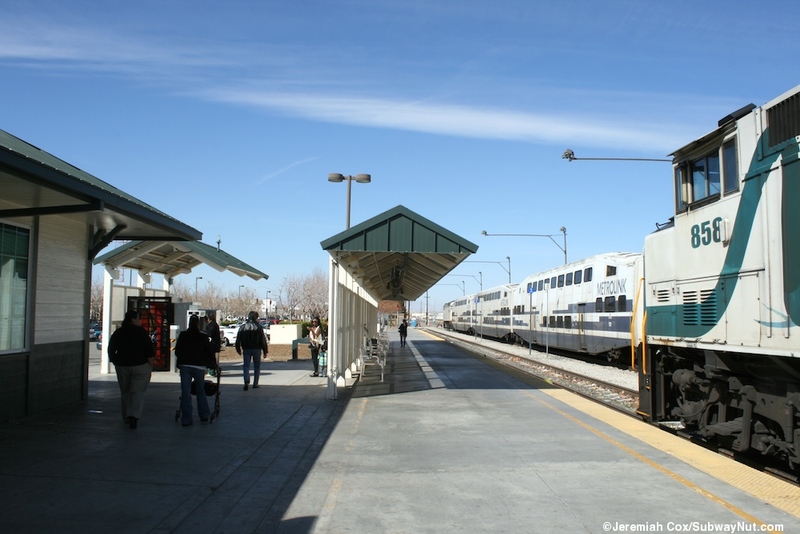 The station consists of a single platform along one of two tracks in a small two track yard fenced off from the two track UP main line. 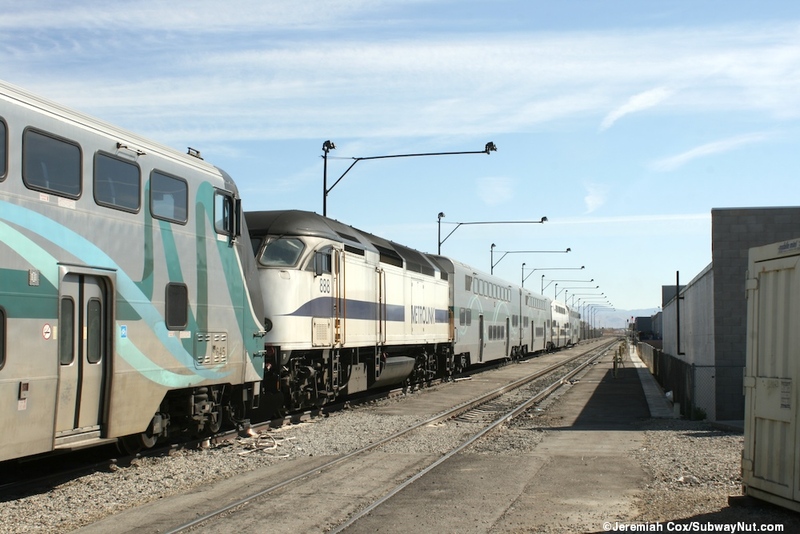 These two sidings are used by Metrolink to overnight where train sets are double, tripled, and quadrupled up with five needing to be stored in and near the station on a weekday overnight (I don't know where the one daily express train, that originates and terminates in Palmdale is stored). 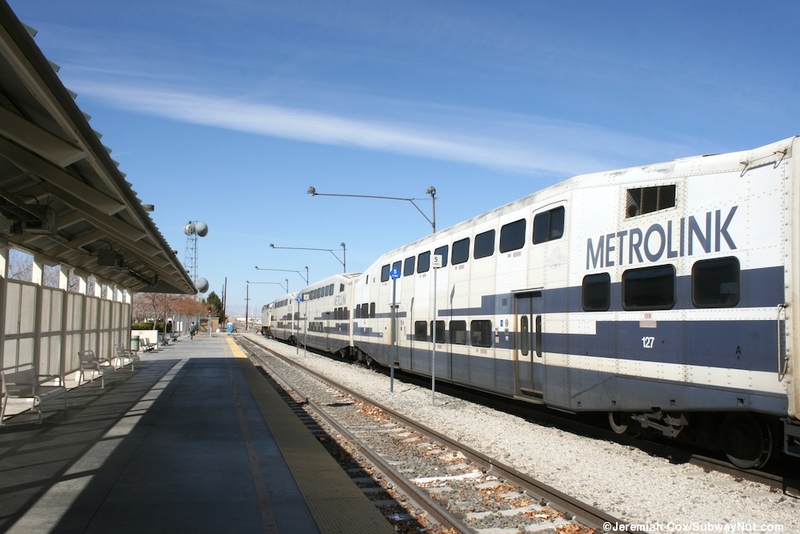 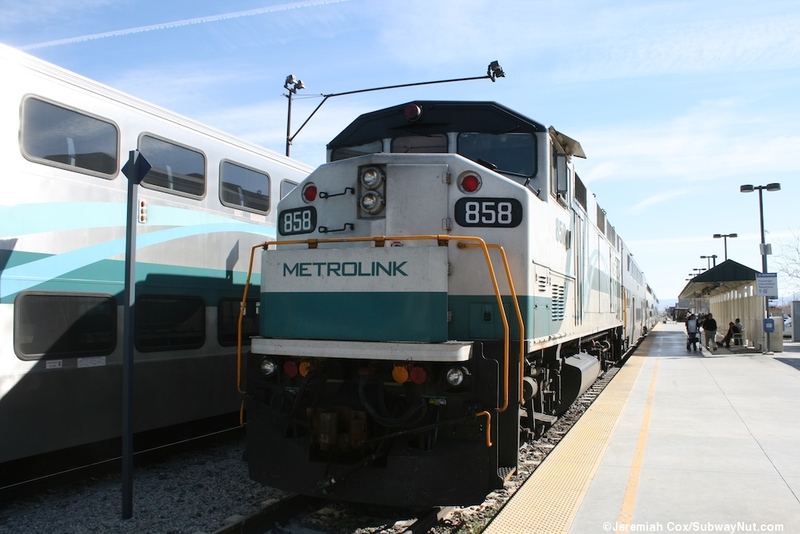 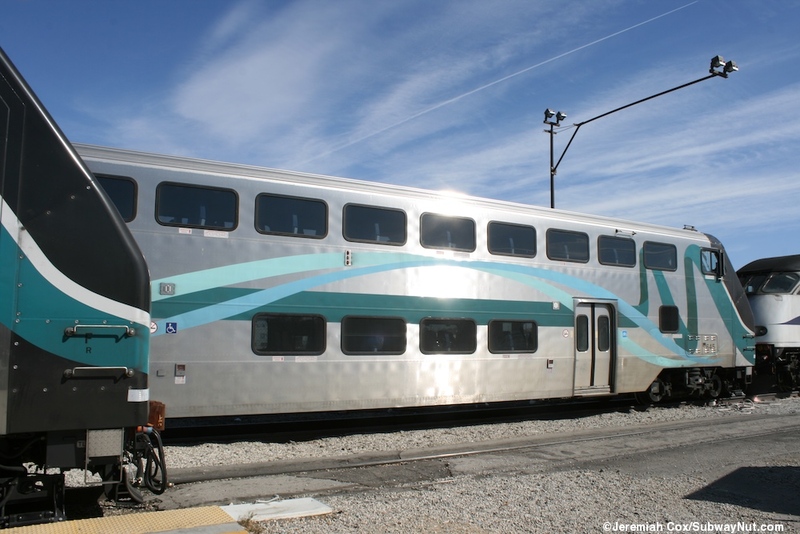 These five train sets, plus one for the weekday express round-trip from Palmdale, are all that is required to fulfill the Antelope Valley Line's weekday schedule with fewer needed on weekends. 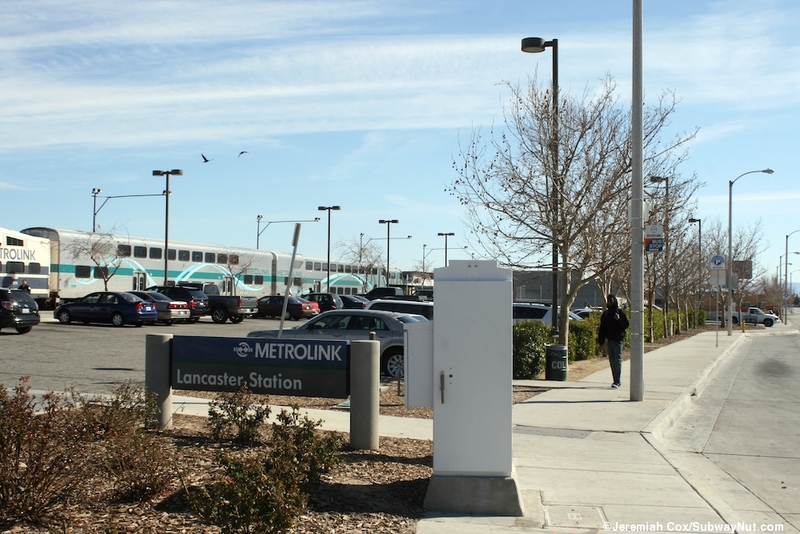 The station and yard tracks begins just south of Lancaster Blvd's grade crossing of the two UP tracks that continue over Tehapachi loop and take a very slow route up to Bakersfield. 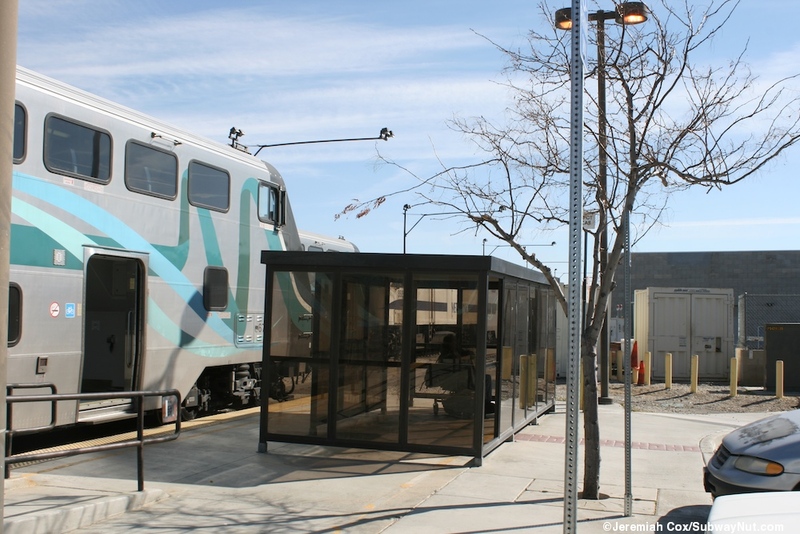 There are minimal Antelope Valley Transit Authority (AVTA) stops along local streets plus an Amtrak California Bus stop (code: LCS, at the SE corner of Sierra Highway and Lancaster Blvd, at that corner of the parking lot) for the thruway buses running twice a day north to meet San Joaquin trains in Bakersfield. 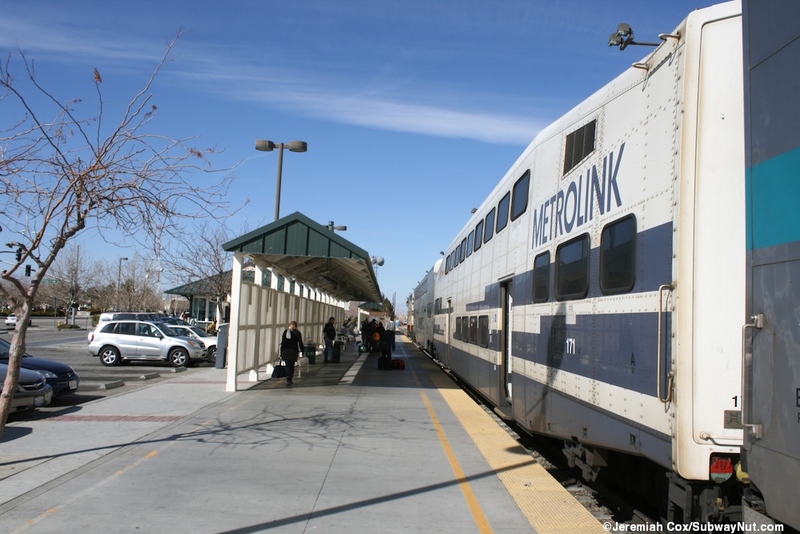 The stop is also the connection point for the triweekly Eastern Sierra Transit bus to Mammoth Lakes. 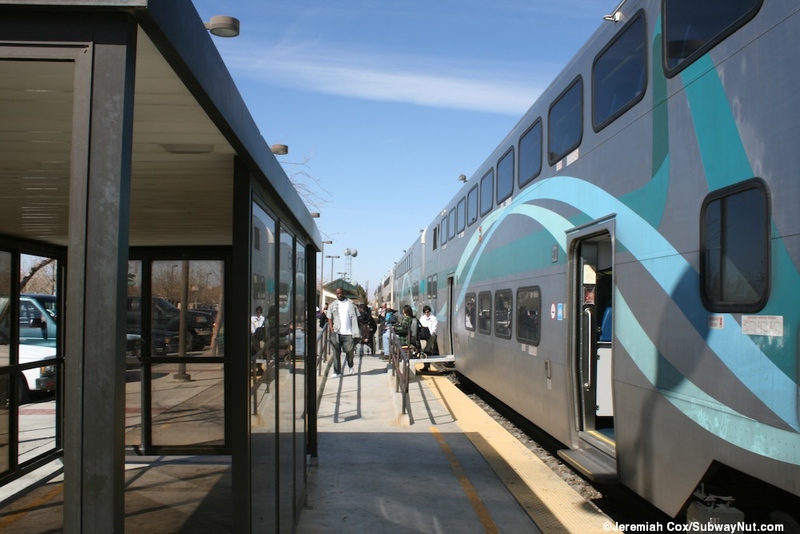 The station itself has a simple single platform with a tactile warning strip. 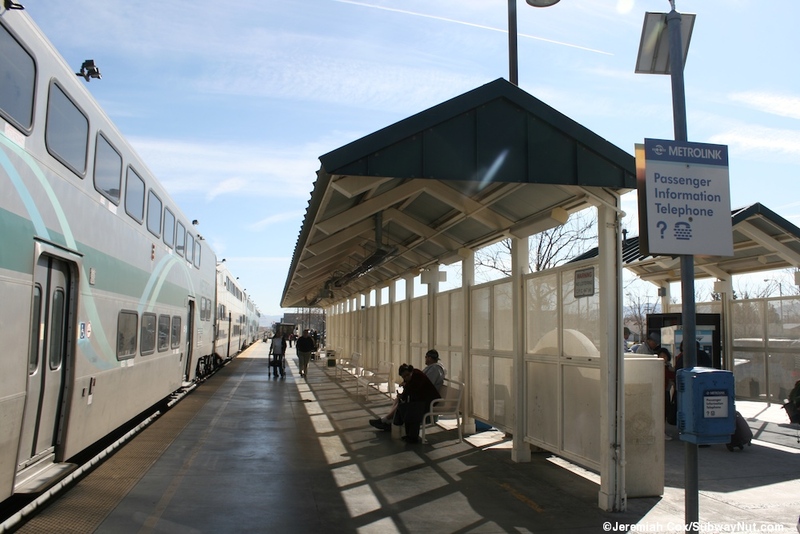 There are two long canopies with white chairs and mesh behind them, between the canopies just set back from the middle of the platform is a small depot that was built in 1996 but designed to look older. 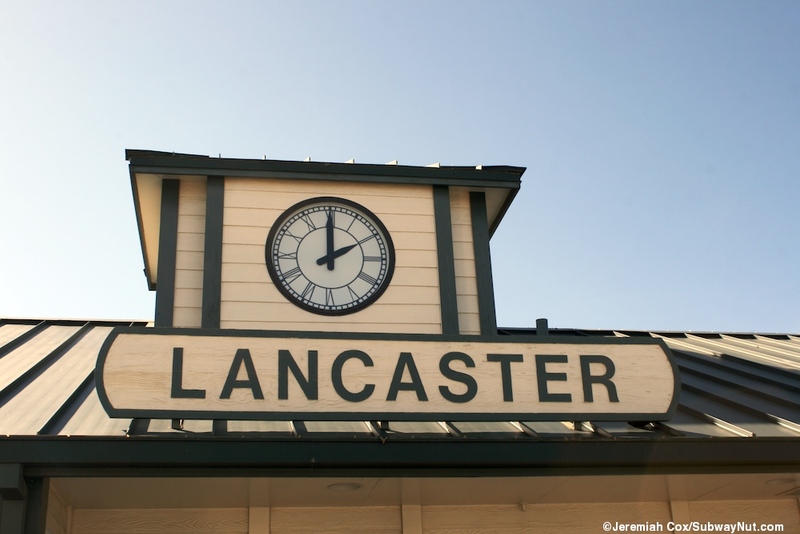 It has a gabled roof and the only two station signs that say Lancaster in Green on a background designed to look like wood. 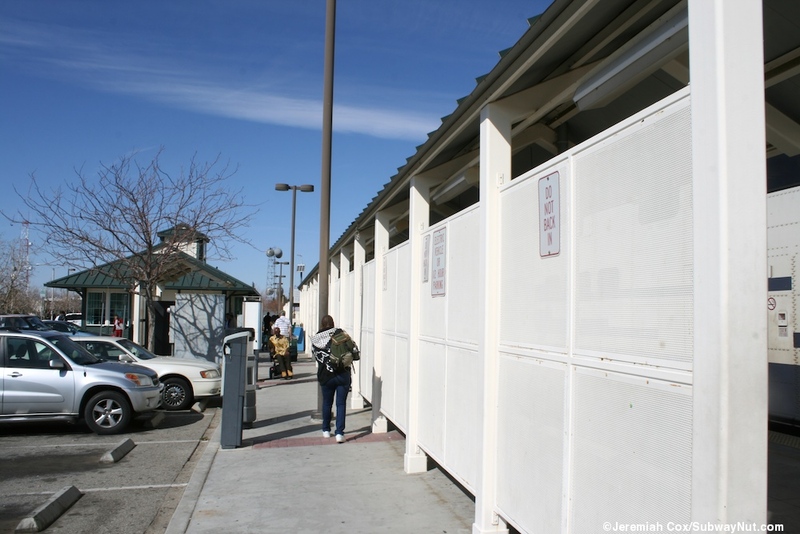 These are the only two station signs except for one of the standard entrance ones at the entrance to the parking lot. 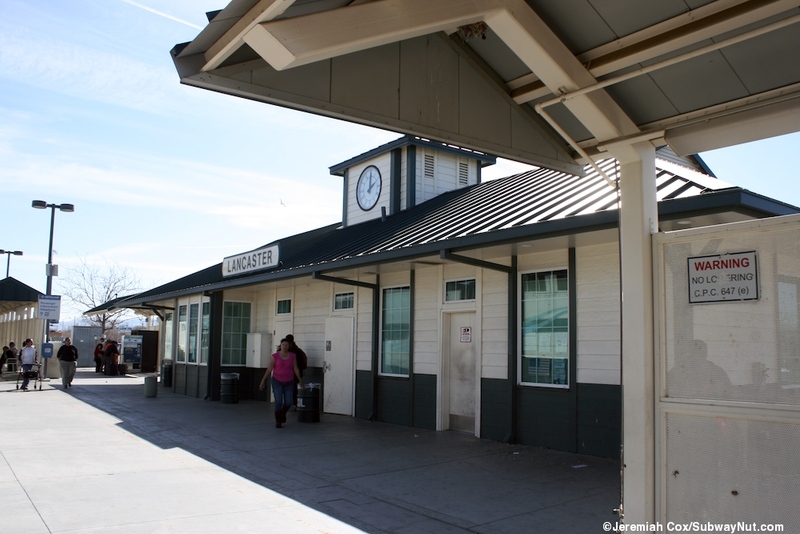 There is also a little chimney looking structure in the middle of the gabled roof (without a fireplace) with clock faces on both sides. 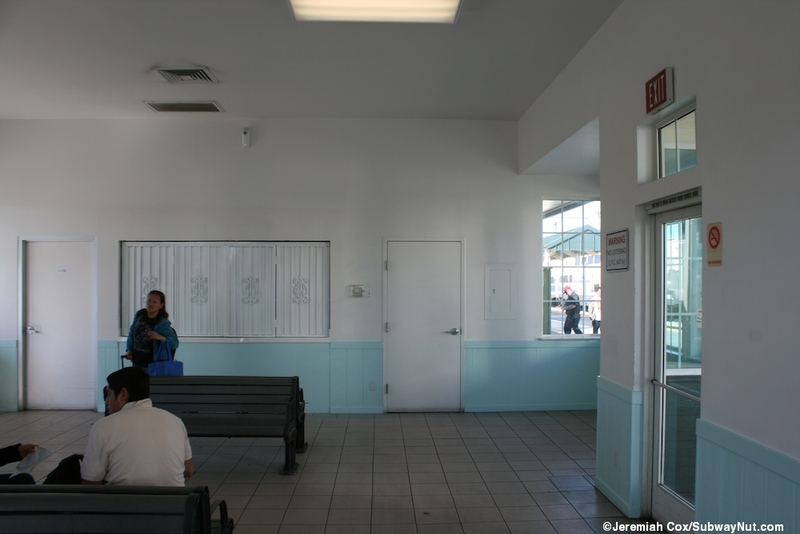 The depot has exterior doors that lead to restrooms and also an open waiting room along its southern side. 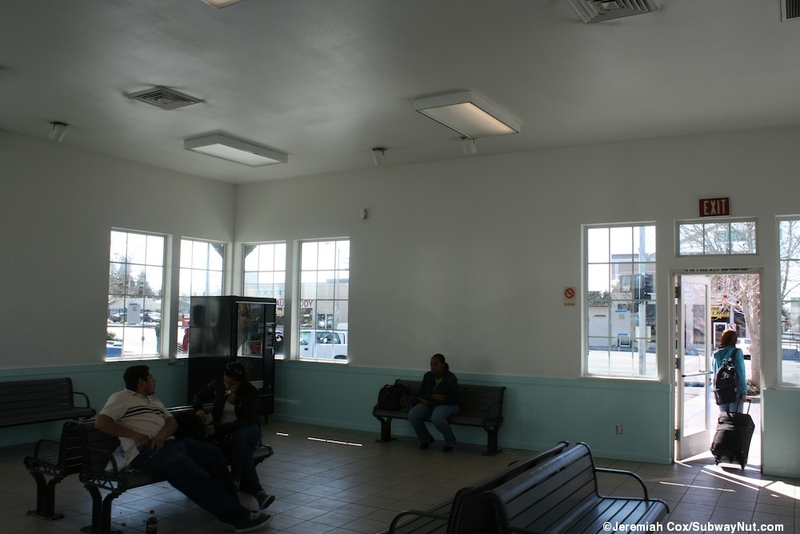 This room has but could have been a ticket window with white shutters closing the window off and some black benches. 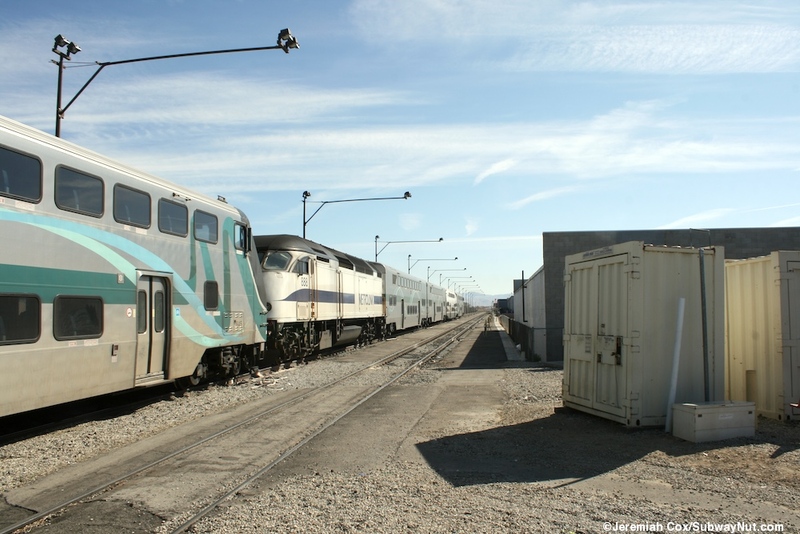 On either side of the depot, beneath their own smaller canopies are the stations TVMs. 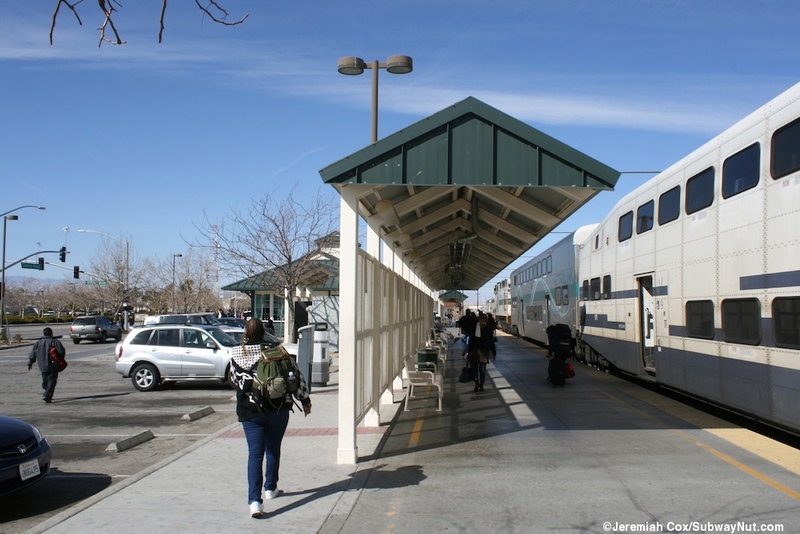 At the southern (inbound end) of the platform is a plexiglass extra large bus type shelter. 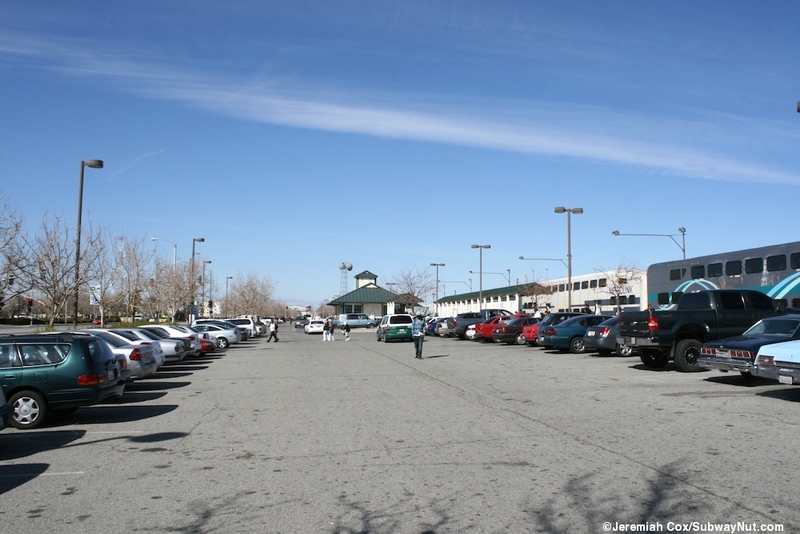 The depot is also in the middle and divides in two the stations 420 space parking lot, with more parking north of the station and Lancaster Blvd extended north between the tracks and the Sierra Highway.